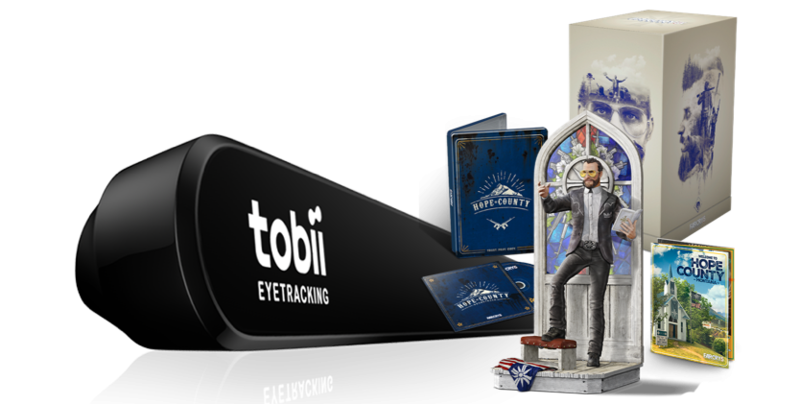 Tobii has teamed up with Far Cry 5 to gift 3 of their fans with amazing eye tracking bundle! To enter in their latest Far Cry 5 Eye Tracking Bundle Giveaway grab your free entries by following few simple steps listed down below! The only PC gaming peripheral that provides simultaneous eye and head tracking as an additional input, deepening your immersion in games. The Tobii EyeChip ASIC combines powerful processing with the world’s most advanced eye tracking platform – reducing CPU load and power consumption from your device. Easy to set up and start using with your PC monitor or laptop. The Tobii Eye Tracker 4C connects through a simple USB and has native support in Windows 10. Bonus entries: Share your referral link with friends to get additional 10 entries for each person who enter through the link. Winner will be contacted by email. Winner has to reply back within required period to claim the prize.